Fang Cai, partner of Oriental Health Solutions, LLC, is a licensed practitioner of acupuncture and Chinese herbal medicine in North Carolina. 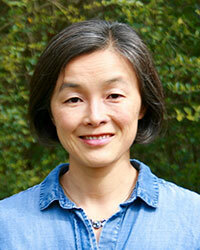 Ms. Cai is nationally certified in Acupuncture and Chinese Herbology. Ms. Cai obtained a B.A. in Biology from Swarthmore College. In 1998, she began her studies of Oriental medicine in Shanghai, China, and later received a Master’s degree in Acupuncture and Oriental Medicine from the New England School of Acupuncture (NESA). She has been on NESA’s Institutional Review Board to review proposals of acupuncture clinical studies, served as a board member of the North Carolina Association of Acupuncture and Oriental Medicine, was an associate editor for the New England Journal of Traditional Chinese Medicine from 2002 to 2006, and has been the English language copy editor for the Journal of Integrative Medicine since 2012. Ms. Cai has been a consultant on acupuncture clinical trials at UNC-Chapel Hill, and was one of the first acupuncturists credentialed at Duke Integrative Medicine. She is fluent in the Mandarin and Sichuan dialects of Chinese. Ms. Cai specializes in internal medicine, dermatology, inflammatory and metabolic disorders, and women’s health.